We envision a world in which the youth of New York State are a powerful force in creating a just and sustainable future. We seek to leverage our collective power to revitalize New York State and create sustainable communities, build a thriving green economy, develop truly clean energy, establish local food sovereignty, restore natural ecological systems, and ensure justice for all in workplaces and communities across the state. We are a network of young people in New York State that is working to harness our collective power to solve the climate crisis by building thriving, just, and sustainable communities. We are redefining the borders of our campuses and are committed to mobilizing young people to protect New York State from hydrofracking and to demand 100% clean energy and a green economy that works for everyone. We strive to empower and train young people to become leaders in the climate justice movement and change agents in their communities. We believe that climate justice is a vision for genuine systematic transformation led by frontline communities that puts freedom from discrimination and equal access to decision making at the center of all solutions to the climate crisis. Frontline communities are directly impacted groups that collectively name a source of injustice they face and take action to overcome it. As young people, millennials represent a frontline because we recognize that we will be disproportionately affected by climate change over our lifetimes and that we hold the moral authority to demand a seat at the decision making table.The Green Umbrella aims align our youth and student led organizing with broader struggles for climate and environmental justice. The Green Umbrella believes that climate justice is not an all-encompassing framework, but describes the specific justice struggles related to overcoming climate injustice. As such the Green Umbrella engages in an ongoing (and always evolving) praxis of alignment with other struggles for collective liberation. The Green Umbrella was founded at the NYS Break-out at Power Shift 2011 in April 2011. We have a history of creating space for young people to initiate and lead campaigns and actions to oppose the fossil fuel economy, including the Tar Sands Action, Don’t Frack New York, Power Shift New York, and most recently #NoDirtyInergy. Since spring 2012, we’ve worked with NY campuses to coordinate divestment campaigns with frontline anti-fracking resistance. 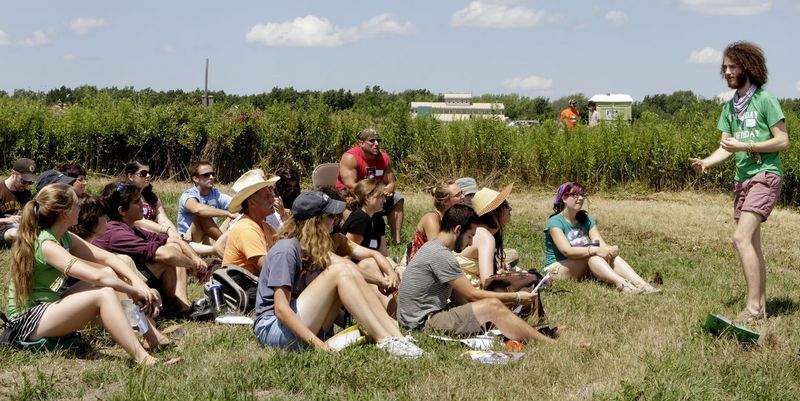 In 2013, we’re digging into long term anti-oppressive solutionary organizing in upstate NY with the Youth Power Summit 2013 and Summer of Solutions Ithaca program. You are probably aware that National Public Radio as been accepting underwriting dollars from the American Natural Gas Alliance (ANGA) since 2011. In exchange, NPR airs misleading ads promoting further development of natural gas. Over the past two years I have tried to hold NPR accountable for its underwriting practices but have repeatedly run into a stone wall. The attached link will take you to a MoveOn petition about this situation, that will be forwarded to NPR. Recently, a MoveOn petition on banning fracking from public lands generated 650,000 signatures! Wouldn’t it be great if this petition about NPR’s underwriting choices received a similar response! Please consider signing this petition and forwarding this information to other groups or individuals who are concerned about this issue.